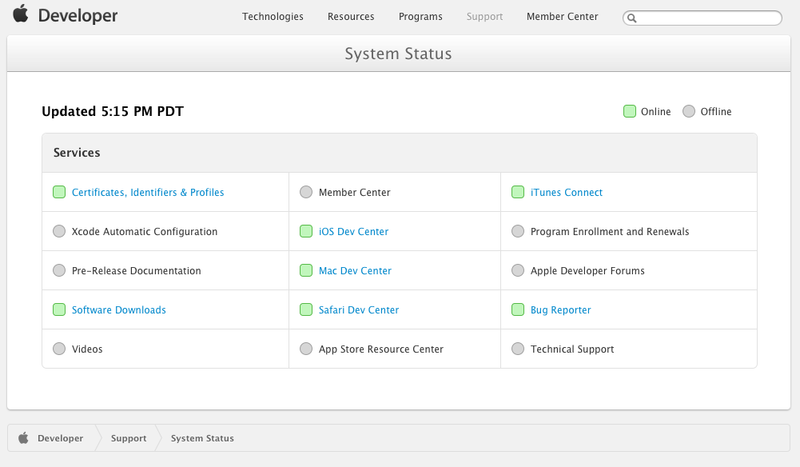 Currently Apple's Development site is partially down. In particular Xcode Automatic Configuration. This means that if you want to add a new phone to Xcode can't automatically update the provisioning profile. 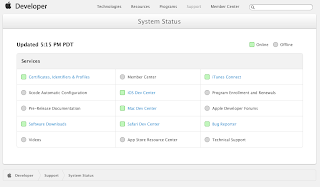 I figured out that I could create a new profile on the Apple Developer site, download it, and manually install it. This worked fine except that when I installed the new profile Xcode said that "A valid signing identity was not found". This seemed to say that I didn't have the right certificates in my key chain. Some Stack Overflow articles suggested removing certs from my keychain. At that point I decided to call Apple. Luckily I was able to get some help. It turns out that the profile I downloaded didn't have certificates for everyone. Actually it just had one certificate and it wasn't mine. Creating a new profile and making sure my certificate was included fixed the problem.